CG Says: The 2019 Jeep Cherokee is refreshed with revised styling and new LED headlights. There is also a newly available 270-horsepower turbocharged 2.0-liter 4-cylinder engine with idle start/stop. Apple CarPlay and Android Auto functionality are newly standard. Cherokee is a compact crossover SUV that is slightly larger than Jeep’s Compass, which in turn, is larger than the subcompact Jeep Renegade. 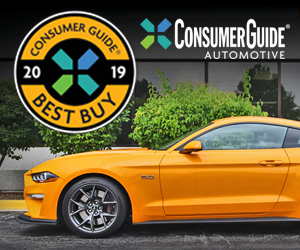 Three engines are offered: a 2.4-liter 4-cylinder with 184 horsepower, a 271-hp 3.2-liter V6, and the previously mentioned 270-hp turbo 2.0-liter four. All engines are mated to a 9-speed automatic transmission. Front-wheel drive and 4-wheel drive are available. Available features include heated/ventilated front seats, heated steering wheel, keyless entry and starting, hands-free power liftgate, forward collision warning and mitigation, blind-spot alert, and rear cross-traffic alert. For most of its trim levels, the Cherokee’s closest competitors are the Ford Escape, Honda CR-V, and Mazda CX-5. 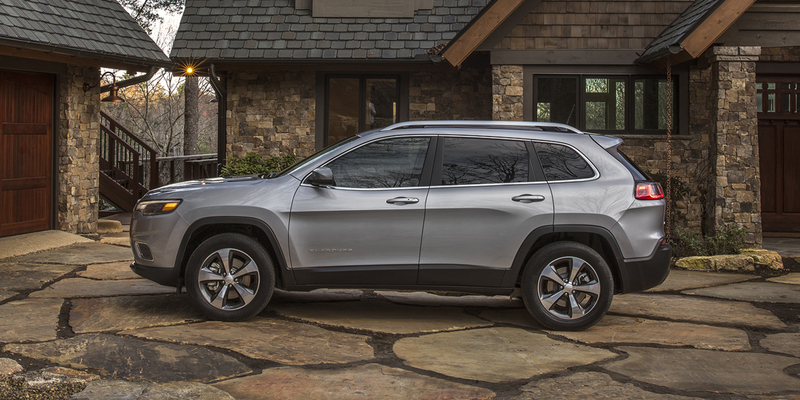 The exception is the off-road-ready Cherokee Trailhawk model, which has few direct rivals in the compact-SUV class. The only other vehicles in its class that come close to–or match–its level of off-road equipment are the other compact Jeeps, namely the Compass, and, for buyers interested in extreme off-roading, the 4-door Wrangler Unlimited.